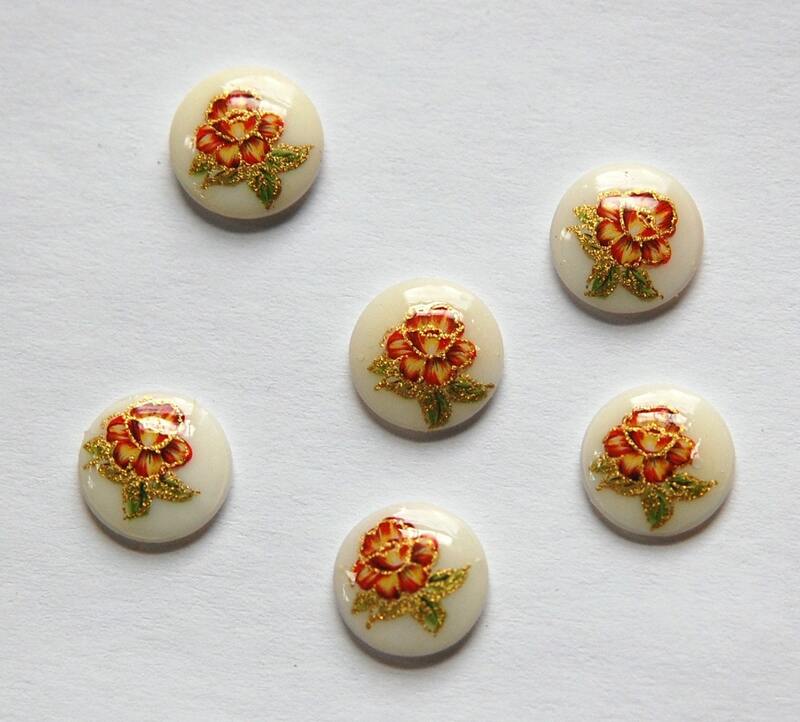 These are pretty little red to orange floral glass cabochons. They were made in Japan. These measure 10mm. You will receive 6 of these.